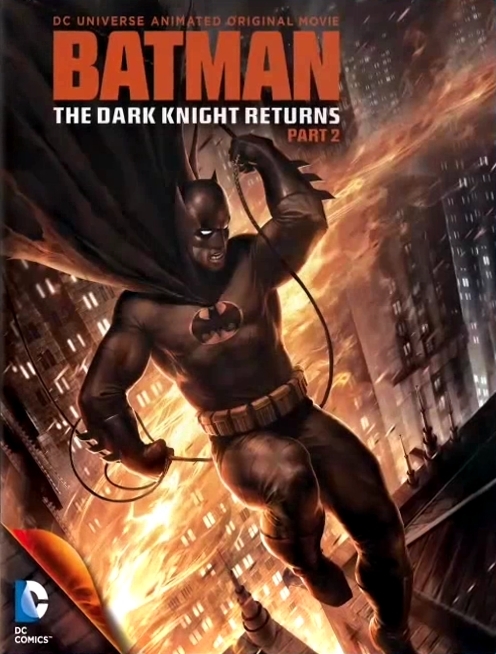 Batman: The Dark Knight Returns, Part 2 was released last week on January 29, 2013, but if you haven't picked up your copy yet, here's your chance to win a copy from the Batcave Toy Room. I loved this Frank Miller classic since it was published back in 1986 and I think it is super cool to be able to watch it in an animated format. Michael Uslan, the executive producer of the Batman films since 1989, has recently stated one of his dream Batman projects would be a live action version of The Dark Knight Returns starring Michael Keaton as Batman and Jack Nicholson as The Joker and I for one am all for it. Even the though The Joker was killed at the end of the 1989 movie I would still love to see that happen. So, how do you win a Blu Ray copy of Batman: The Dark Knight Returns, Part 2? I tend to use the phrase "Fangasmic" from time to time in my posts and in order to enter you need to leave a comment of where you think I picked that phrase up from. Couple of hints: It was from a first issue of a comic book and one of the characters in this movie uses the phrase at the end of the issue. More specifically, what character says the word and what is the name of the comic book? Contest ends at 11:59 pm PST on February 15, 2013. Until then check out the clip below and good luck. I don't have a blu-ray player so I won't enter , but good luck to everyone who does! You should put your hat in the ring anyway Eric. It's a combo pack and comes with a DVD version. I would love to win a copy! I found part 1 here in Mexico for $8! That's a great price for Part 1. Answer the question and you will be entered in the contest.